Tariq Al Gurg, CEO of Dubai Cares honours Sunny Varkey, Founder & Chairman of GEMS Education for his AED 100m support over the past 10 years. 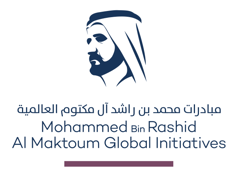 Tariq Al Gurg, Chief Executive Officer at Dubai Cares, received Sunny Varkey, Founder and Chairman of GEMS Education and Founder of the Varkey Foundation. During the meeting, Mr Al Gurg honoured Mr Varkey for fulfilling his commitment of AED 100 million that he pledged to Dubai Cares in 2007 over a period of 10 years in support of the global philanthropic organization’s efforts toward securing children’s right to education. The high profile meeting also presented a strategic opportunity for both parties to discuss the impact of their long-lasting partnership on the lives of children, their families and their communities, as well as share their outlook for the philanthropic sector and the challenges that lie ahead. During the meeting, Mr Al Gurg shed light on Dubai Cares’ recent endeavours aimed at ensuring universal quality education as well as the organization’s efforts to advocate for quality education to become a primary focus on the agendas of local and national governments worldwide. Mr Varkey was amongst the first private sector donors to donate to Dubai Caries and his pledge comes as part of his commitment to making a difference to the lives of children in developing countries.